No further explanation should be needed, therefore, if I tell you that I live with three cats and a keen football enthusiast, and that a Cat-Trick is the term given to any instance of all three cats together. To be honest I am not particularly happy with the one of Arthur (and he is not really as fat as I have made him look, though admittedly he is a smallish square-shaped fellow), and Stiletto (a.k.a. 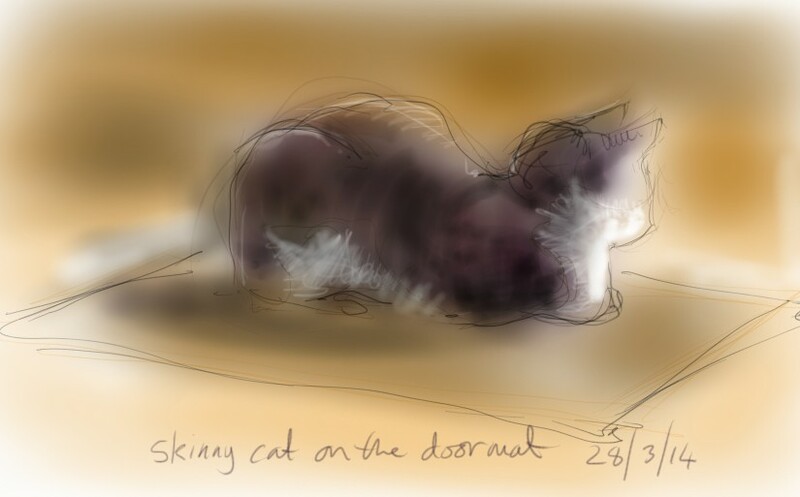 Skinny-Fat-Cat, for reasons that will not at this time become clear) is so difficult to capture I had to draw her from a distance when she didn’t know I was looking at her, but, for the sake of the first cat-of-the-day cat-trick, here are all three. 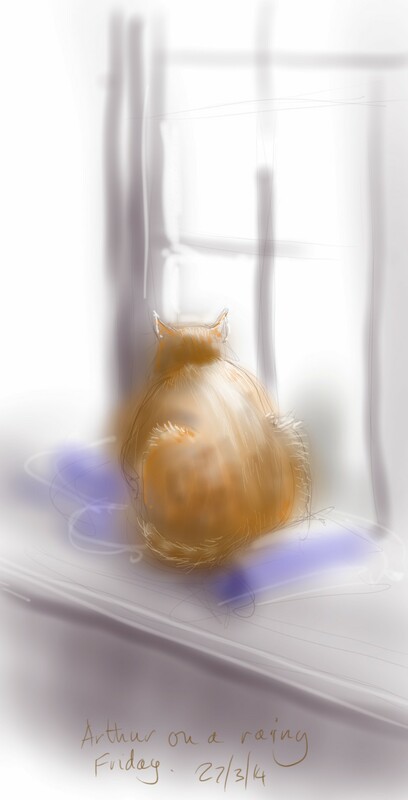 This entry was posted in Cats and tagged art, cat, cat sleeping, digital sketch, ginger, illustration, life sketch, phone sketch, samsung galaxy note 3, tablet sketch on March 28, 2014 by Nancy Farmer. 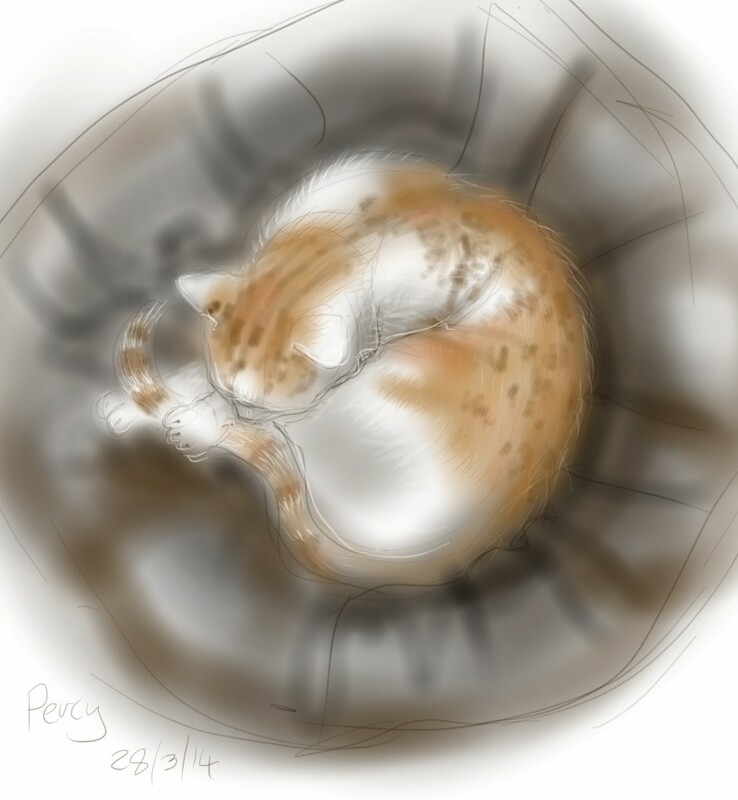 Cats are a w e s o m e.
wow, 11 is quite a lot… though only half as many as where Arthur and Percy came from. Their mother was taken in when pregnant already by a lady who takes in strays and un-loved cats, and dogs,… and…. Gotta love people who save animals. Bless them and their big hearts.